There’s a Monster in your Book by Tom Fletcher is a fun new book for children that promises to bring an interactive element to your reading time. A mischievous blue monster has invaded your new book, and it’s up to your little one to help get him out! Don’t worry, he’s quite cute with his striped top and pink horns, but even so, we should probably try to get him out, right? You’re going to have to shake the book. Go on, give it a good shake! That certainly knocked him over, but let’s try to tickle his feet because he’s still in your book. Oh dear, he must be ticklish because he’s just laughing now and he’s still in your book. Should we try to blow him away? Come on, blow, really hard! 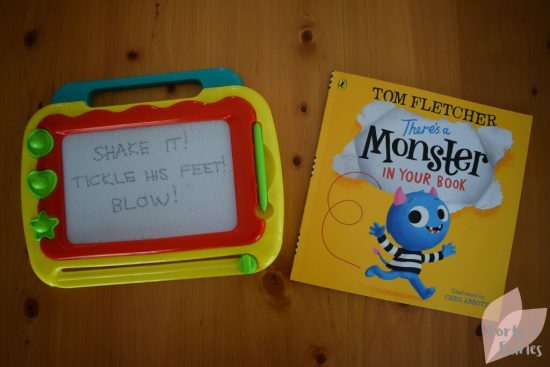 Your children will love There’s a Monster in your Book, it’s such a fun new way to read a book and it will have your little ones laughing as they first try to shake the monster out, then tickle his feet, blow him away and more as they try to get him out of their book. I love books that engage children in new ways, and this one is bound to become a favourite very quickly as you all rediscover just how fun reading can be! 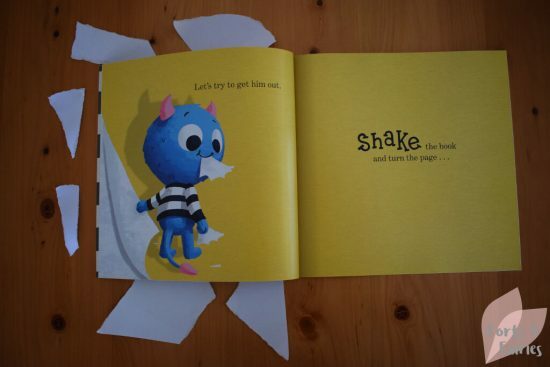 As you shake, tickle and blow at the monster in your book you will see the funny results as you turn each page, and eventually whisper goodnight to the monster and let him stay in the book, making this a great bedtime story to enjoy together. There’s a Monster in your Book is available from bookstores and online retailers for a recommended retail price of R160. It’s recommended for ages three to six years. Thanks to Penguin Random House for letting us have some fun with this mischievous monster! MamaMagic, the show must go on!